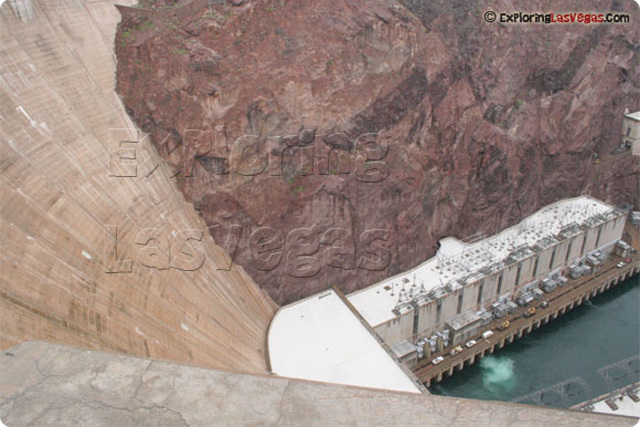 One of the symbols of Nevada and a must-see hot spot for any trip to Las Vegas is the Hoover Dam. 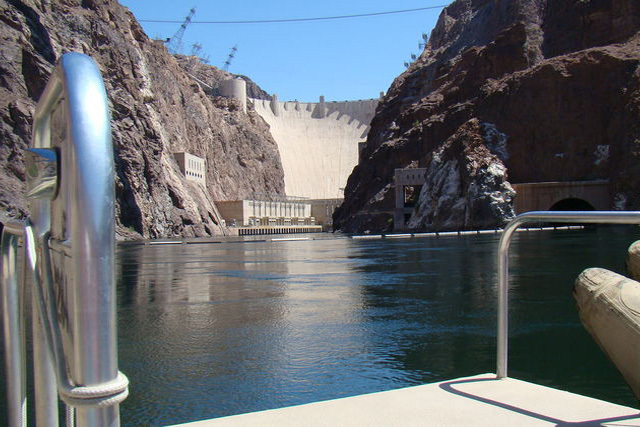 ExploringLasVegas.com's Tours provides a one of a kind twist on their wildly popular Hoover Dam Tour. You have the option of going on a float trip once you have traveled to the base of the Dam. You will start your trip out at the top of the Dam, where most people experience the best views of the Dam and the river valley beneath it. Once you have seen the top of the dam, it is time to travel down, to the bottom for a unique, rafting adventure on the Colorado River. To experience the float trip, you must travel from the Lake Mead Overlook to the Colorado River. Tour members travel by van along the Lower Portal Road. Along the trip, you will get the chance to see where workers at the Dam measure the water levels, water flow, and the storage bunkers where dynamite was kept during the construction of the Dam. The view, as you look up, is just as magnificent as the view from the top as you realize just how big the Hoover Dam really is! You will not get to stay on land at the base for too long though, because we has other plans for you. You will have to step into the float trip raft, and the views of the Dam have just improved, as you experience something very few people (except those on this tour) have seen in their lifetime, a view from the water near the base of the Dam !